YOU might not believe it, but ferocious and cannibalistic battles are staged every moment of the day in the drops of water that make up the rivers, lakes and oceans of the world. 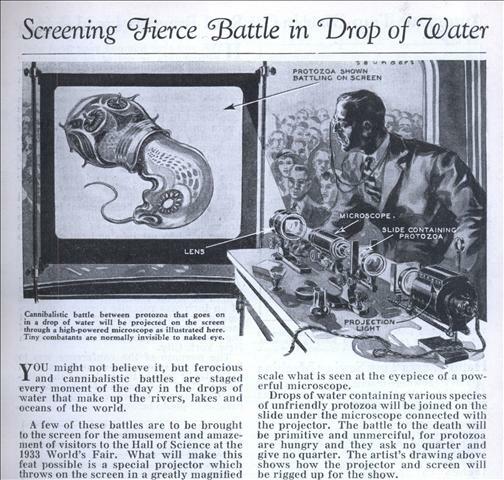 A few of these battles are to be brought to the screen for the amusement and amazement of visitors to the Hall of Science at the 1933 World’s Fair. What will make this feat possible is a special projector which throws on the screen in a greatly magnified scale what is seen at the eyepiece of a powerful microscope. 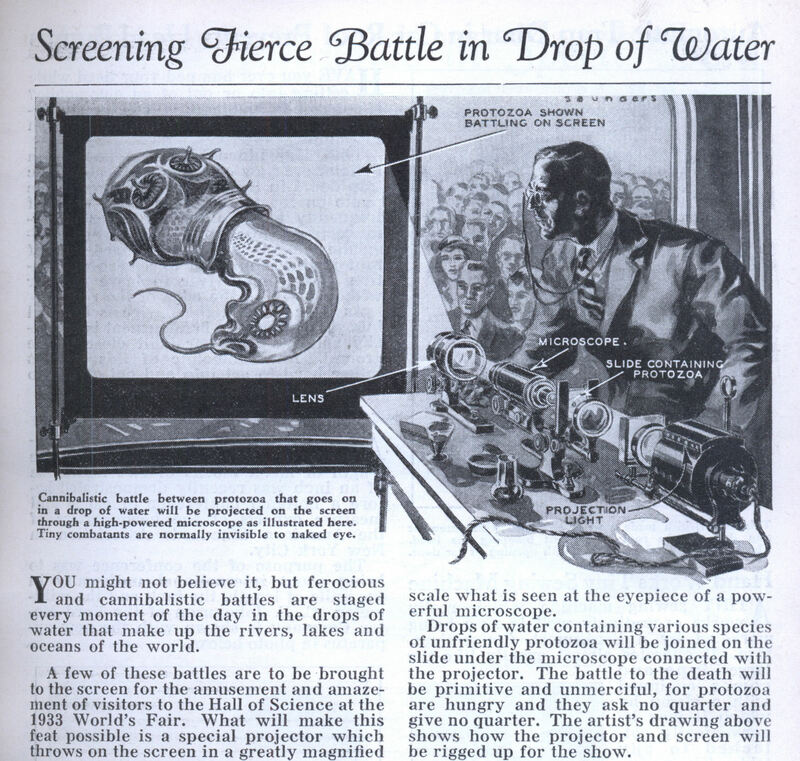 Drops of water containing various species of unfriendly protozoa will be joined on the slide under the microscope connected with the projector. The battle to the death will be primitive and unmerciful, for protozoa are hungry and they ask no quarter and give no quarter. The artist’s drawing above shows how the projector and screen will be rigged up for the show. PETA would have something to say about this! “for the amusement and amazement of visitors”= bread and circuses on a small scale. BTW, those two protozoa shown seem to be of different species, so there’s no cannibalism going on there as the caption to the picture indicates.